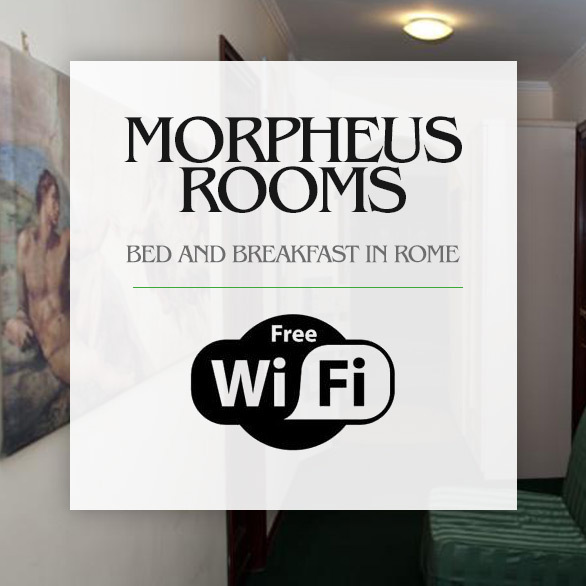 Morpheus Rooms is a new bed and breakfast nestled in the heart of Rome overlooking the majestic Via Nazionale. Its positioning (Repubblica stop) will help make your stay more enjoyable and comfortable. Being so close to Termini Station, the focal point of transport, connecting you to the biggest attractions Capitoline in a short time: the Trevi Fountain, the Colosseum, Piazza Navona, the Spanish Steps, the Vatican, are some of many locations offering Rome. Do not miss the nightlife moments. Clubs, restaurants, bars and pubs surrounding your stay to give you that moment of relaxation you deserve. Morpheus Rooms will also be ready to cuddle after a tiring day of shopping due to its proximity to Via Condotti, one of the streets most “in” of Italy, rich in high fashion boutiques of the most famous brand. Breakfast is served in two little rooms, between 07:30 and 09:30 in the morning.